I love sushi, it is my favorite food. The word sushi refers to only the rice and how it is prepared, what you do with it is the culinary art. From the plenty of variations from sushi that I have been trying to cook myself, I got the idea of making my own Temakis. My first try doesn’t look good at all, but it tasted just ok. In any case, I wanted to post here the recipe for the sushi rice and a basic Temaki. More important is HOW TO ROLL the Temaki: Because it wasn’t so straight forward. I have to find a new video to show this. Rinse the rice until the water comes out clean. Then let it rest for 30 minutes (or so). Put twice the same amount of water as that of rice in a pot. Bring the water to boil (don’t forget to cover the pot). Once the water is boiling, pour in the rice and cover. Lower the temperature to a minimum. Let it cook for 15 minutes, when the rice looks dry it is done. Give just a bit of extra heat for less than a minute, then take the pot off the stove. Let it rest for 10 minutes. 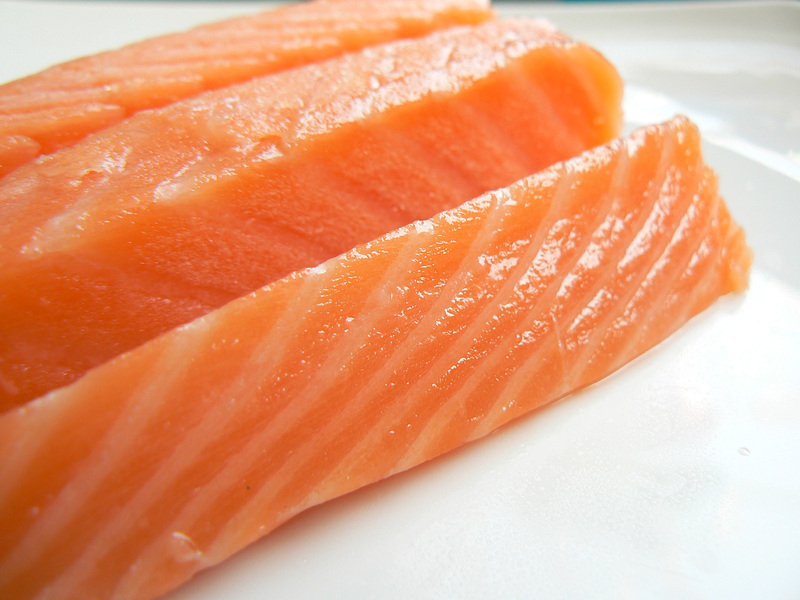 If you didn’t get sushi vinegar on time, use the mixture of rice vinegar with the sugar and salt. Warm it up to mix well, and then let it cool down before we get to the next step. Place the rice on a large bowl, and pour the vinegar solution on top of it. HERE IS THE TRICK: Preferably a wooden bowl would be better, but you need to stir fast and steady, plus cool it at the same time. You might need some help from someone, or get a fan to blow some air to the rice. 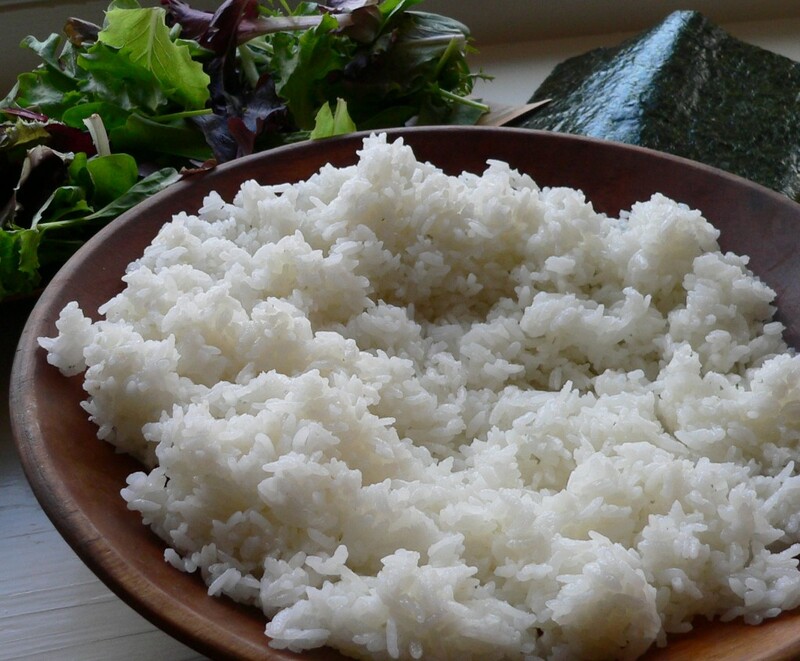 It is important that the rice cools down with the mixture as not to let the grains of rice too sticky. Cover the rice with a wet cloth, and let the rice rest at room temperature before using it. In half a nori sheet, put a thin layer of sushi rice on only half the sheet. Sprinkle a few sesame seeds on the center. Place the sliced salmon and avocado diagonally over the rice. From the middle of the sheet to the upper edge of the nori. Here it is a good idea to put also some cream cheese and/or Wasabi. Roll it up as a cone.